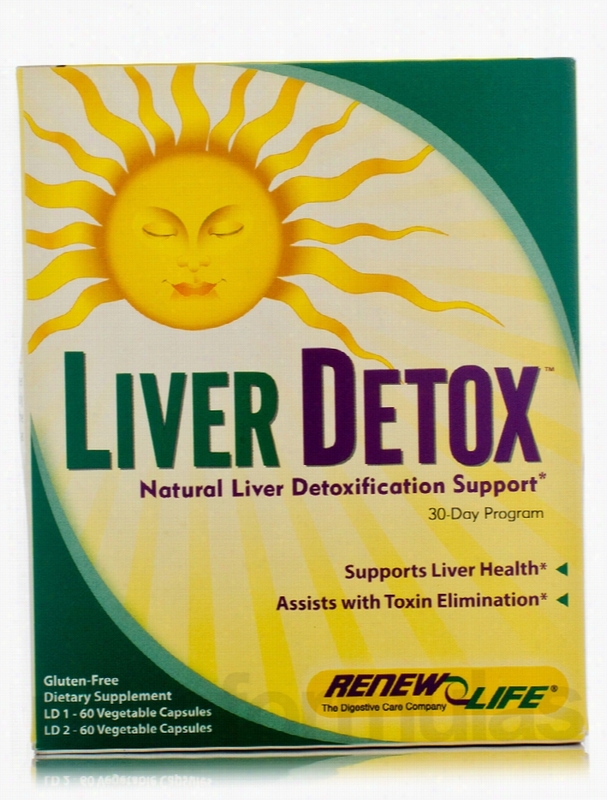 ReNew Life Detoxification - Liver Detox - 2-Part Kit. 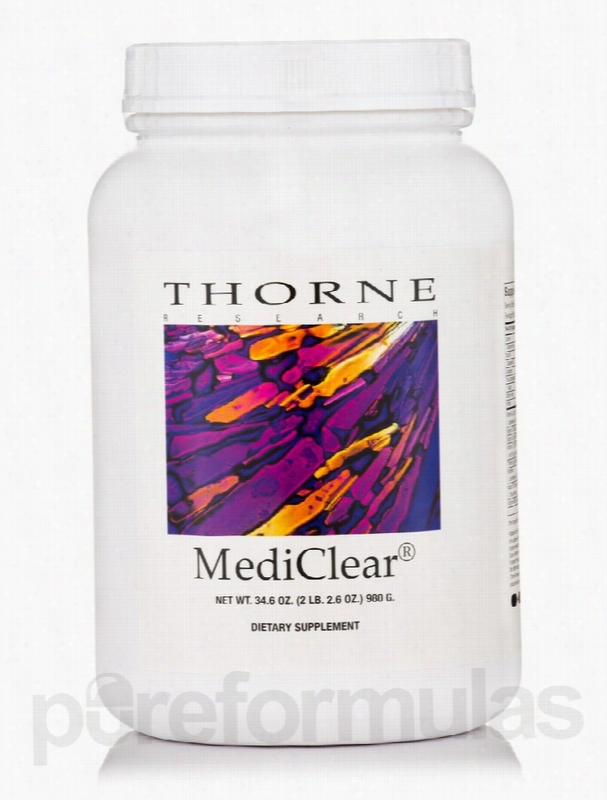 Thorne Research Detoxification - MediClear - 34.6 oz (980 Grams). 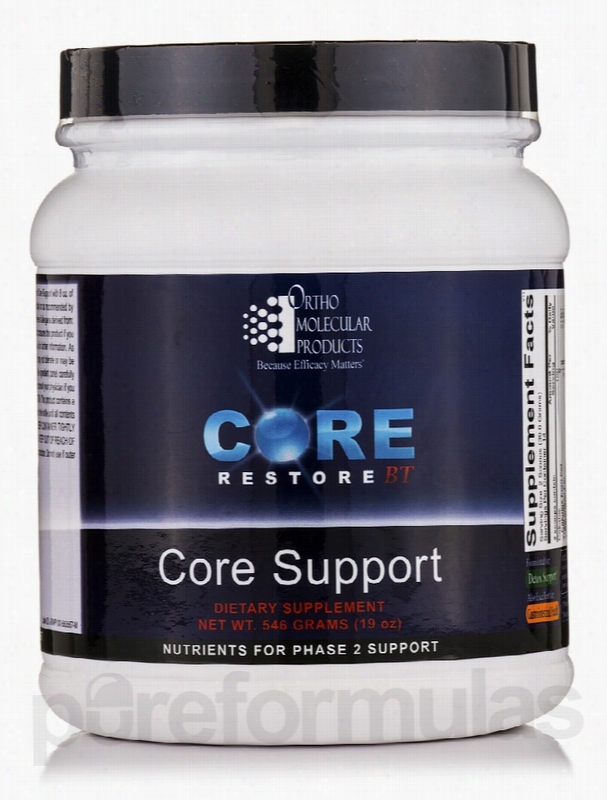 Ortho Molecular Products Detoxification - Core Support - 19 oz (546. Even when you lead a healthy lifestyle&sbquo; toxins can still build up in your body due to environmental exposure. These toxins can end up causing a variety of health problems over time. Fortunately&sbquo; you can get rid of these harmful substances by going through a process called detoxification. This process occurs in phases&sbquo; and each phase requires different nutrients. When you've reached the second phase of the detox process&sbquo; taking a supplement that helps you receive all the nutrients your body needs is important in order to maximize the effectiveness of your detox regimen. 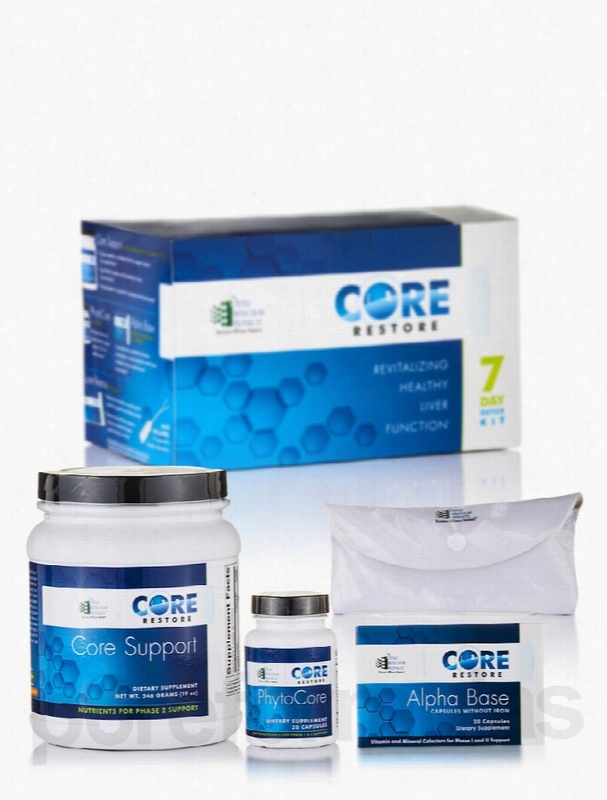 Core Support by Ortho Molecular Products provides a blend of amino acids&sbquo; minerals&sbquo; vitamins&sbquo; and herbs that your body needs during the second phase of detoxification. The particular ingredients contained in this powdered supplement were specifically chosen because they may help your body get rid of toxins&sbquo; protect your liver so that it can keep filtering toxins out of your blood&sbquo; and reduce the damage caused by free radicals that can harm your cells. 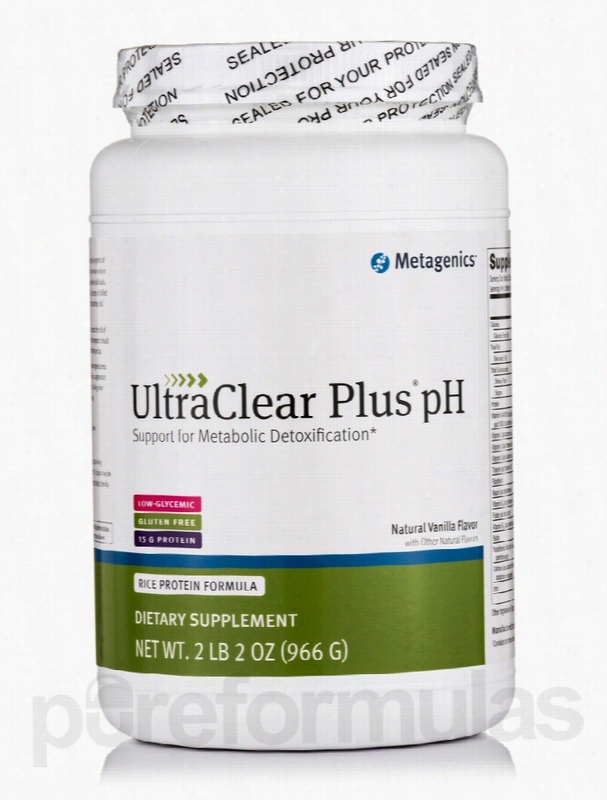 This product is suitable for use with a seven- to 28-day detoxification program. Some of the ingredients in Core Support include: Magnesium&sbquo; which is a mineral that's often used as a laxative or as an antacid Bentonite&sbquo; which is a clay that's often used to cleanse the colon&sbquo; liver&sbquo; and skin; it may also help balance bacteria in your digestive tract Glycine&sbquo; which is an amino acid that's often used to protect the kidneys and liver from dangerous toxins Schizandra berry extract&sbquo; which is an herb that's often used to protect the liver from toxins Green tea extract&sbquo; which is an herb that may support liver health Each container of Ortho Molecular Products&rsquo; Core Support contains 567 grams&sbquo; which is enough for 14 servings. Mix two scoops with eight ounces of water or any other beverage of your choice twice daily. Ortho Molecular Products prides itself on making effective supplements from scientifically designed formulas. For over 20 years&sbquo; they&rsquo;ve been providing proven products with superior raw ingredients. Their manufacturing practices rise above industry standards and regulations. The most important priority for Ortho Molecular Products is that those who use its supplements get and stay healthy as soon as possible. These statements have not been evaluated by the Food and Drug Administration (FDA). These products are not meant to diagnoseÃ¢ÂÂ treat or cure any disease or medical condition. Please consult your doctor before starting any exercise or nutritional supplement program or before using these or any product during pregnancy or if you have a serious medical condition. 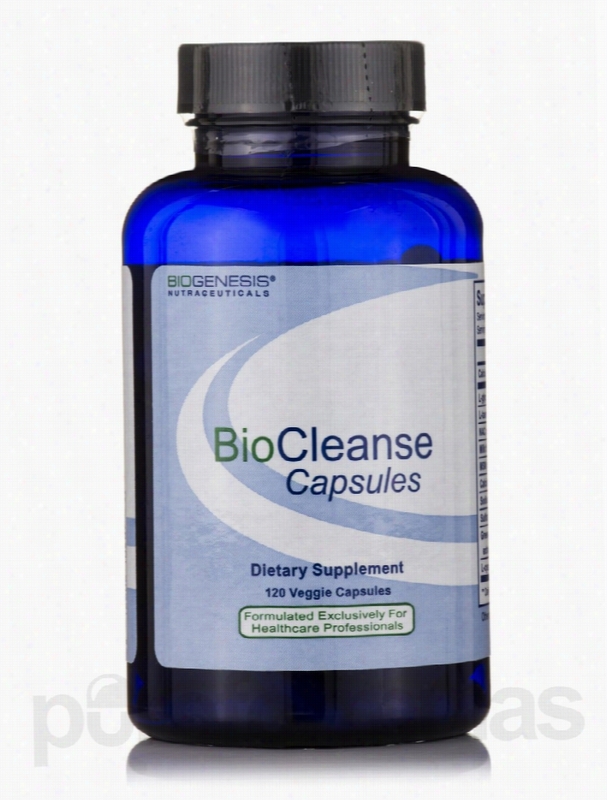 Biogenesis Nutraceuticals Detoxification - BioCleanse - 120 Veggie. 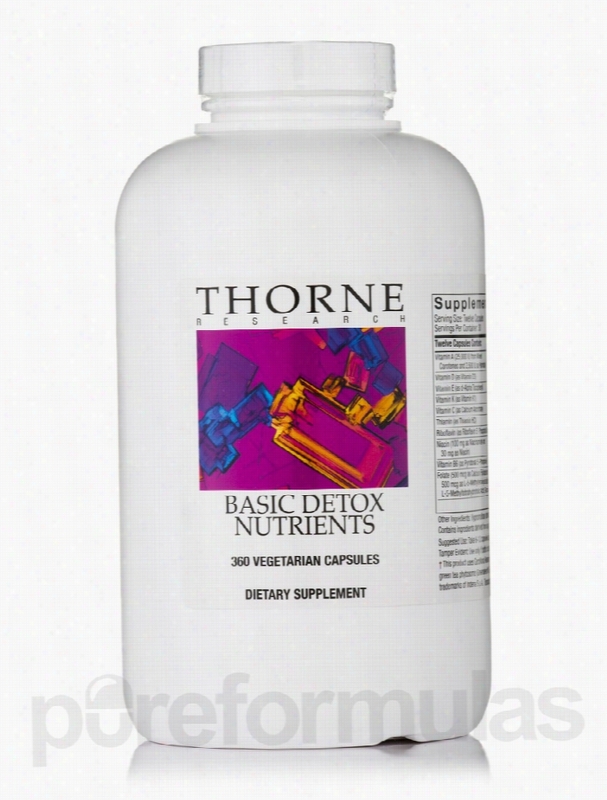 Thorne Research Detoxification - Basic Detox Nutrients - 360. Basic Detox Nutrient is a multi vitamin-mineral supplement designed for individuals with environmental toxicity. Basic Detox Nutrient aids in the detoxification process&sbquo; and can be used as a stand-alone product or as part of a cleansing program. It is specially formulated with higher levels of many nutrients commonly found to be deficient in people who are suffering from exposure to toxins present in their living spaces. For people who have been exposed to chemical toxins&sbquo; magnesium is usually one of the body&rsquo;s most commonly deficient nutrients. A deficiency in magnesium may lead to an array of ailments from irritability to even seizures. And magnesium has a critical part in the metabolism of carbohydrates&sbquo; amino acids and fats. 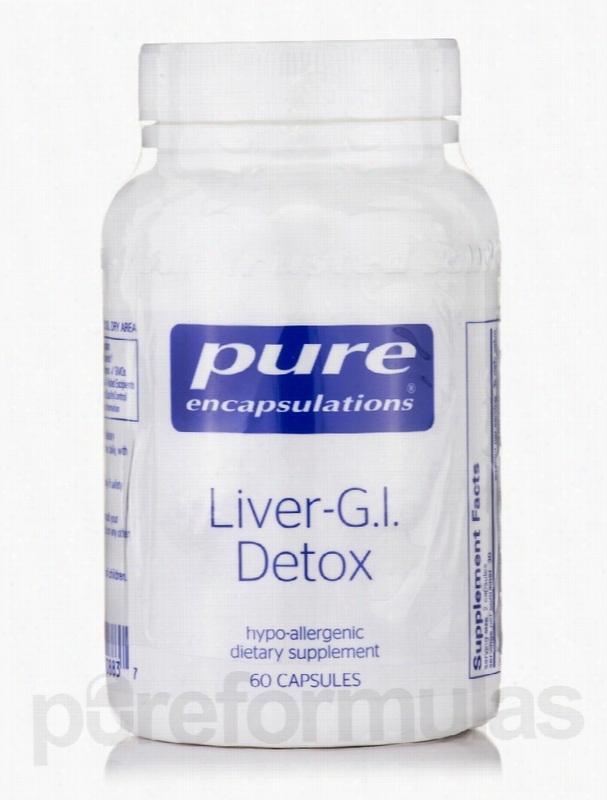 Your liver works as your body&rsquo;s main detoxification center&sbquo; producing chemicals necessary for digestion and much more. In an individual who has been exposed to toxins&sbquo; the liver may be at risk&sbquo; which is why extra liver support may be necessary. Milk thistle extract is widely used to help protect liver cells from free radical damage and promote proper liver function. Because milk thistle contains silymarin&sbquo; it prevents against glutathione depletion that is often attributed to excessive alcohol use&sbquo; overuse of acetaminophen (Tylenol) and other chemicals. Curcumin has properties similar to milk thistle&rsquo;s and has strong antioxidant properties that make it well known as an anti-inflammatory remedy. Vitamin C also has antioxidant features that help diminish free radicals. Free radicals are harmful atoms that enter your body and can cause damage to internal organs and cells. Breathing in cigarette smoke&sbquo; pesticides&sbquo; and many other types of environmental pollution are becoming prevalent sources of free radicals&sbquo; which can wreak havoc on your body. With Basic Detox Nutrient&sbquo; you can give your body a powerful defense against unavoidable assailants. These statements have not been evaluated by the Food and Drug Administration (FDA). These products are not meant to diagnoseÃ¢ÂÂ treat or cure any disease or medical condition. Please consult your doctor before starting any exercise or Nutritional supplement program or before using these or any product during pregnancy or if you have a serious medical condition. 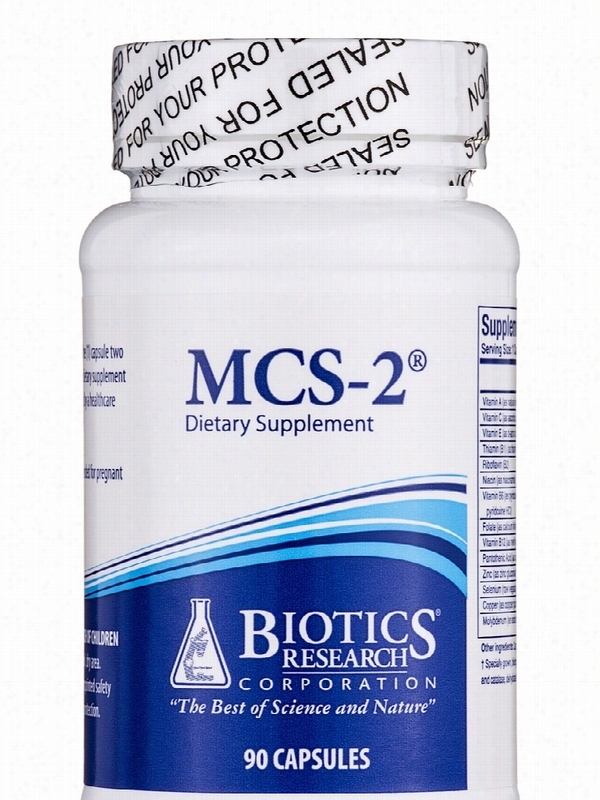 Biotics Research Detoxification - MCS-2 - 90 Capsules. 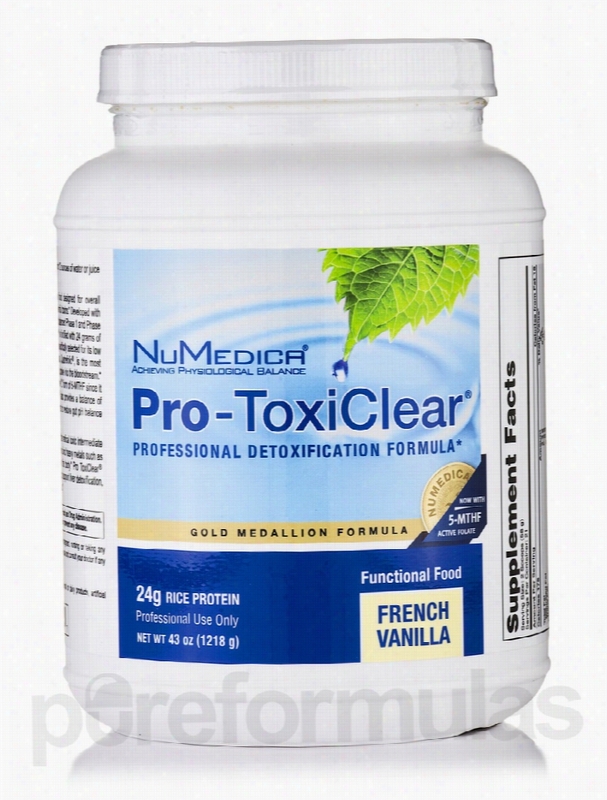 NuMedica Detoxification - Pro ToxiClear French Vanilla - 21 Servings. Pro ToxiClear&reg; is an innovative Functional Food designed for overall detoxification and the removal of potentially harmful toxins. Developed with specific and targeted nutrients&sbquo; it helps support balanced Phase 1 and Phase 2 liver detoxification pathways. Pro ToxiClear&reg; is fortified with 24 grams of the highest quality&sbquo; hypoallergenic rice protein specifically selected for its low Allergy potential. Pro ToxiClear&reg; also provides a balance of vitamins&sbquo; minerals&sbquo; amino acids and antioxidants to restore gut pH balance and support gastrointestinal integrity. Pro ToxiClear&reg; helps mitigate the damage of the radical toxic intermediate molecules of the detoxification process and helps bind heavy metals such as mercury and cadmium to aid in removal from the body. Pro ToxiClear&reg; provides a synergistic combination of nutrients to support liver detoxification&sbquo; intestinal balance&sbquo; and the reduction of inflammatory cytokines. Key Benefits of Pro ToxiClear&reg;:? Supports Balanced Phase 1 and Phase 2 Liver Detoxification.? Supplies 24 Grams Hypoallergenic Rice Protein Per Serving.? Helps Bind Heavy Metals To Aid in Removal From the Body.? Supports Intestinal Balance.? Helps Reduce Inflammatory Cytokines. These statements have not been evaluated by the Food and Drug Administration (FDA). These products are not meant to diagnoseÃ¢ÂÂ treat or cure any disease or medical condition. Please consult your doctor before starting any exercise or nutritional supplement program or before using these or any product during pregnancy or if you have a serious medical condition.